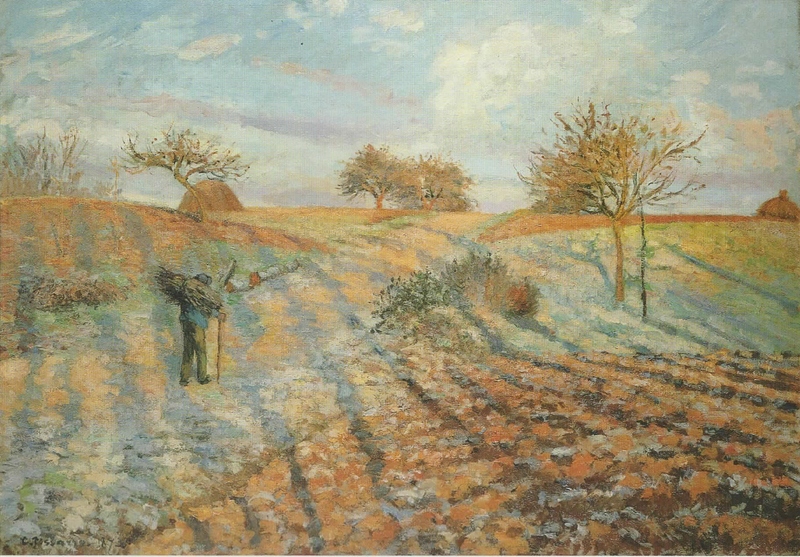 One cold winter morning, Pissarro carried his easel directly north of Pontoise to the fields of nearby Ennery. 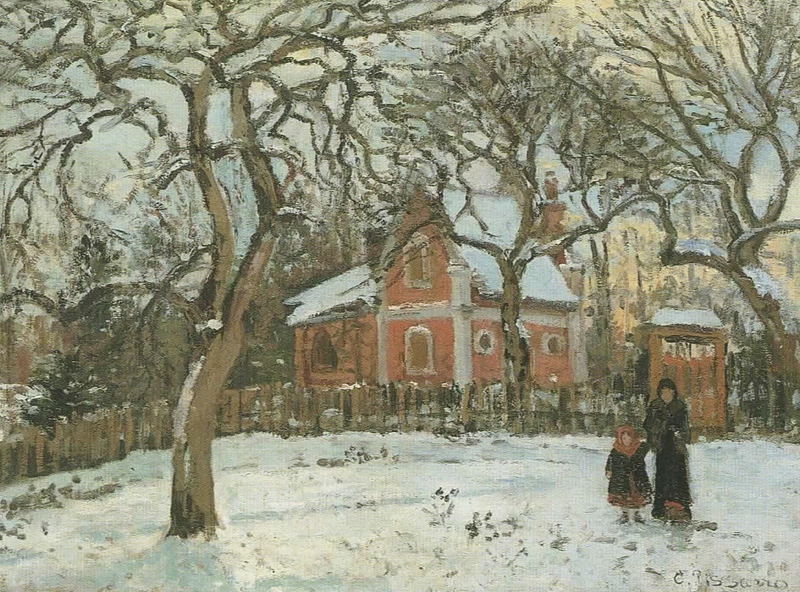 The painting he made there, Hoar-Frost at Ennery, was shown in the first exhibition of the Impressonists at Nadar’s studio in Paris in 1874. 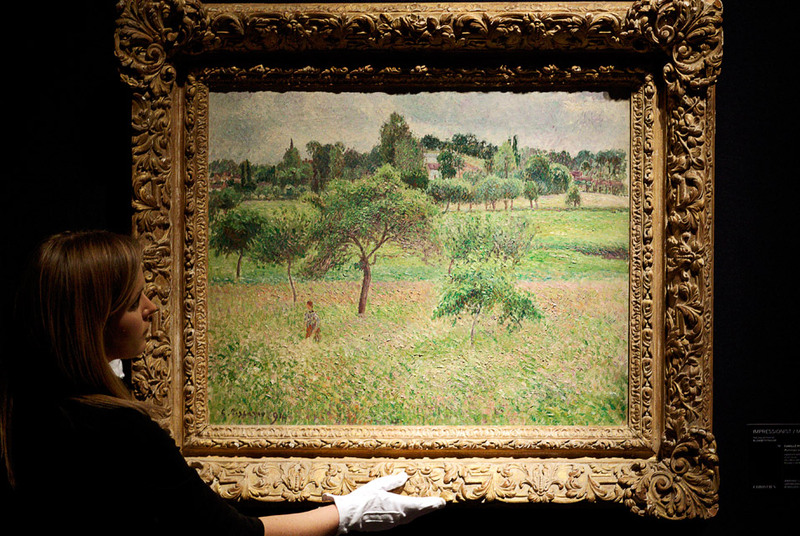 Even to our eyes, the painting is dramatically different from other Impressionist paintings. This is no Sisley landscape with reflections in the river or Monet haystacks. Those are simple to understand. At first glance, this painting seems commonplace with the horizon line two-thirds of the way to the top. But below that is an extremely complex composition. The only familiar reference points are the bare trees and the peasant. Two-thirds of the painting is a patchwork of colors crisscrossed by parallel lines with a dark green anchor near the center. The work could be that of a contemporary abstract artist.